Patch 1.0.5 - Fixed many of the outstanding bugs as well as added an option to auto-clear the weather when entering WS Mode. 1.0.5 requires 1.1.4a+ of Workshop Framework. Patch 1.0.2 - Adds Layer Handles. Fixes a bug that could cause severe script lag. 1.0.2 requires 1.0.5+ of Workshop Framework. 1.0.1a - Fixes issues with the hotkey toggles of Speed and Time Freeze not working reliably. 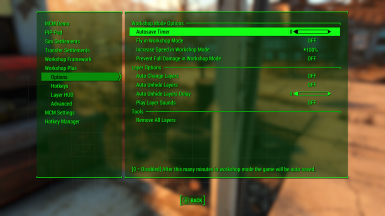 Patch 1.0.3 - Adds Blueprinting support (ala Fallout 76)! 1.0.3 requires 1.0.7+ of Workshop Framework. Patch 1.0.4 - Big performance improvements. 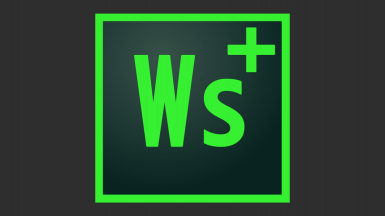 Improves layer code and adds new controls. 1.0.4 requires 1.0.8+ of Workshop Framework.